Prof Emad Gad is the dean of Engineering, School of Engineering within the Faculty of Science, Engineering and Technology. Prior to this appointment he was the chair of the Department of Civil and Construction Engineering at Swinburne University of Technology. Earlier he was an associate professor at Melbourne University and Research Scientist at CSIRO. 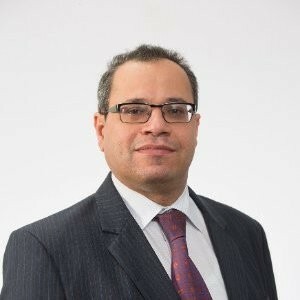 Emad is a civil engineer with extensive experience in structural dynamics, residential construction, structural connections, experimental techniques and finite element modelling. His applied research has contributed to the development of several standards and codes of practice. In addition to his teaching and research contributions, he has completed numerous consulting contracts for local and multinational clients. 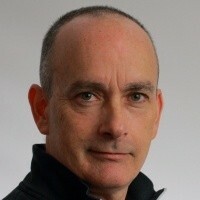 He is chair of the Board of the Australian Engineered Fasteners and Anchors Council (AEFAC), Co-Editor of the Australian Journal of Structural Engineering, appointment member of the Victorian Government Building Advisory Council (BAC) and Fellow of Engineers Australia. Andreas Boomkamp is the National Technical Manager for Ancon building Products in Australia and New Zealand and responsible for product compliance of the wide Ancon product range in both countries. Andreas is a structural Engineer with 10 years of work experience with suppliers of products related to anchorage in concrete. Andreas is member of multiple Australian associations and committees related to building products and board member of the Australian Engineered Fasteners and Anchors Council (AEFAC). After starting his career in Germany Andreas spend 5 years in the United States of America before he moved to Sydney. Neil Hollingshead is currently Group Product Manager for Australia and New Zealand at ramsetreid. Neil has over 25 years of experience providing high value solutions to the construction industry through a number of Technical / Engineering and Marketing roles with ITW ramsetreidTM. He graduated from Swinburne University with a Bachelor of Civil Engineering in 1996 and currently chairs the AEFAC Technical Committee.